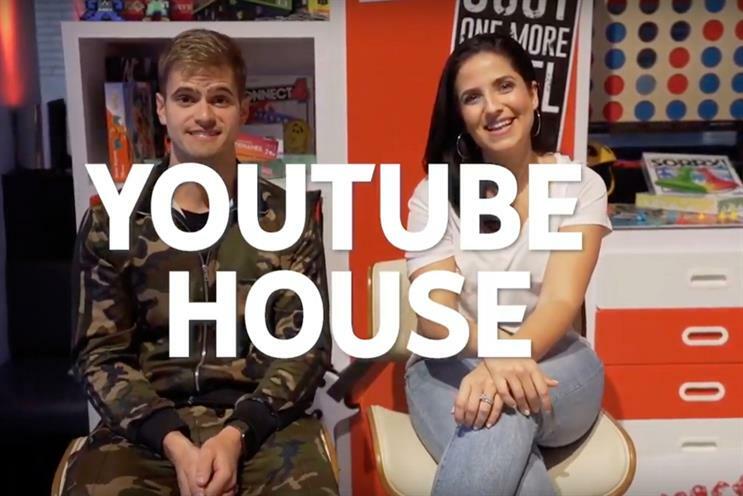 YouTube has opened an experiential pop-up in New York called the "YouTube House", which it is using to promote its growing array of services, including YouTube TV and gaming. Appropriately, YouTube has created a film showcasing the activation, while a blog linked to the video explains: "It’s a pop-up, and since we know most of you are tuning in from far away, we wanted to give you a behind-the-scenes tour of our temporary digs." The film is introduced by YouTubers The Fitness Marshall and Laura in the Kitchen, both of whom are leading sessions at the venue. "Welcome to the YouTube house," on-screen copy reads. "A first-ever pop-up in NYC." Opening this week, the house contains a living room with a TV at its heart to promote YouTube TV, the platform's fledgling HD TV platform that boasts 60 networks. Visitors can join Laura in the Kitchen, who has three million subscribers, to find out more about cooking, while a YouTube Music area lets music lovers play or listen to tracks. The venue also houses an area dedicated to gaming and virtual reality, allowing people to play games or don a headset to sample YouTube's VR app. There's even a wellness area, with The Fitness Marshall, who has 1.6 million subscribers, hosting exercise sessions.